Files with vlm suffix may also be found as video recordings captured using the Videoswitch C.C.T.V. security camera systems. File extension vdm is associated with the Videoswitch C.C.T.V. security camera systems and security recording software developed by Ocean Systems Ltd.
A .vdm file contains captured digital video from Videoswitch security cameras. 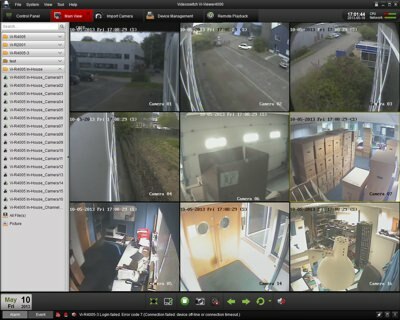 VI-VIEWER-PRO is a video managing program for Videoswitch security cameras. VLM recordings seems to be only playable using Ocean Systems software. No 3rd party converter seems to support VDM recordings, so your only option for exporting VLM recordings would be Ocean Systems software. Programs supporting the exension vdm on the main platforms Windows, Mac, Linux or mobile. Click on the link to get more information about VI-VIEWER-PRO for play vdm file action.